Scanning black-and-white documents can sometimes result in poor quality digital files, including a grainy or dark image, lack of clarity in rendering letters, or even unreadable segments. Moreover, they tend to have an enormous size and thus be difficult to store. Reasons can vary from the quality of the scanner to that of the document itself. Whatever the case, such digital text files can be retouched so as to improve quality and reduce size. 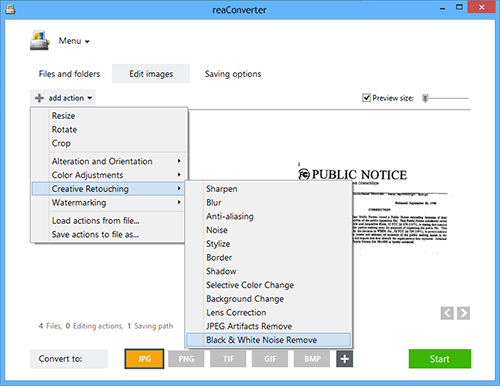 reaConverter's latest edition includes a feature designed specifically for correcting noise in black-and-white scanned documents. The feature is effective and easy to use. Load one or more black-and-white scanned documents by using the drag-and-drop tool or by adding them manually. 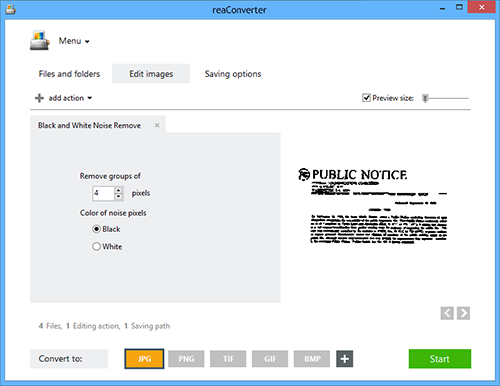 Here you can define the color of the noise pixels and opt for removing groups of a customized numbers of pixels. The real time results of the image editing applied using this feature can be checked in the right part of the window, by ticking the Preview button. 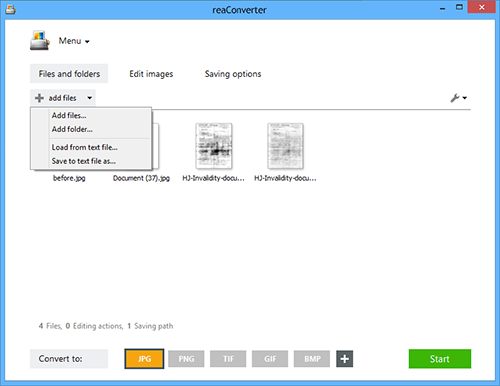 Go to Saving options and pick a location for the edited documents. You can save them offline or online, either in a local folder or in your storage cloud on websites such as Google Drive or Dropbox. 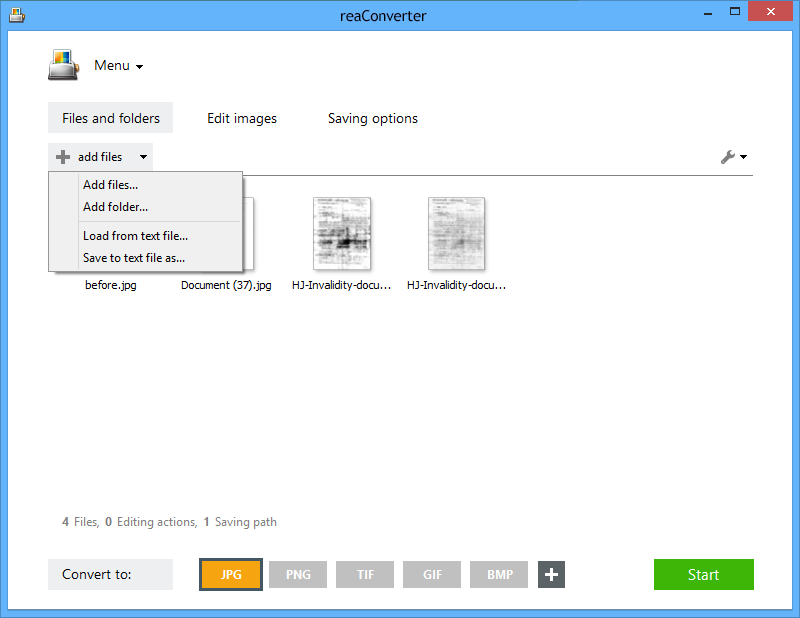 Last but not least, pick the format of your output files from the buttons conveniently placed in the lower part of the window. 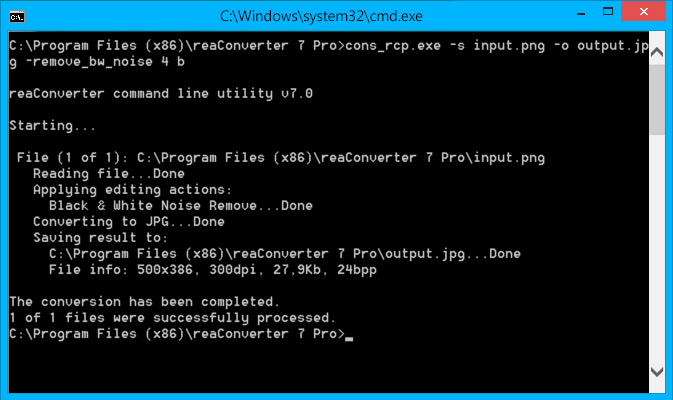 Then simply press Start and your newly corrected scanned documents will soon be ready! 2. Color of noise pixels (Syntax: b, w) where "b", "w" mean black, white. Command-line noise correction tool is an advanced feature meant for professional use, and is available in Pro edition only.